“Migration has played a crucial role in human history, and in shaping contemporary societies, and we want to emphasize and critically examine interconnections among world areas and people across the globe, as well as how migration is central to our societies,” said Cristina Alcalde, associate dean of inclusion and internationalization in the college, and one of the co-organizers of the Year of Migration. Programming for the Year of Migration will explore the multifaceted topic of migration from a diverse range of disciplines using different approaches such as talks, panels, workshops and a semester-long course. The yearlong exploration will kick off at 11 a.m. Tuesday, Aug. 28, in the atrium of the Don and Cathy Jacobs Science Building with free food, T-shirts and giveaways. Many events are planned this fall including an academic panel on “Immigration Today,” a migration storytelling event featuring undergraduate students, an activism workshop, an event featuring a chef and food critic, and a performance by a jazz musician, among many additional events. “Several of these are collaborations across disciplines, departments and colleges. Our advisory board, made up of colleagues across the college, will help us design a varied and exciting year of programming,” Alcalde said. 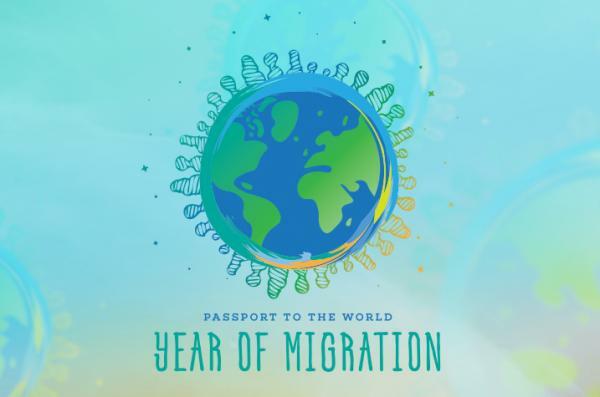 Visit http://migration.as.uky.edu for a full list of events and to learn more about the Year of Migration.